Since opening night in 1931, Broadway actors have starred on the Westport Country Playhouse stage. Their talent (and famous names) have contributed to the magic of the long-running theater. Joining them are 45 young members of Broadway Method Academy. For them, “Annie” is the latest — or in some cases, first– production that they hope leads them to their own Broadway shows. Among that group: Westporters Brenna Connolly and Jackie Peterson. BMA offers training in acting, singing and dancing. Its Fairfield facility — including a 130-seat black box theater — is designed to feel like a New York boutique studio. BMA serves as the resident conservatory of the Playhouse. Brenna (a freshman at Staples High School) and Bedford Middle School 8th grader Jackie are excited to be on the storied stage. They’ve learned a lot about professional theater. Rehearsals began last month. During tech week, they were at the theater from 4:30 to 10 p.m. every day. But the cast and crew have been welcoming. Brenna and Jackie are all in. 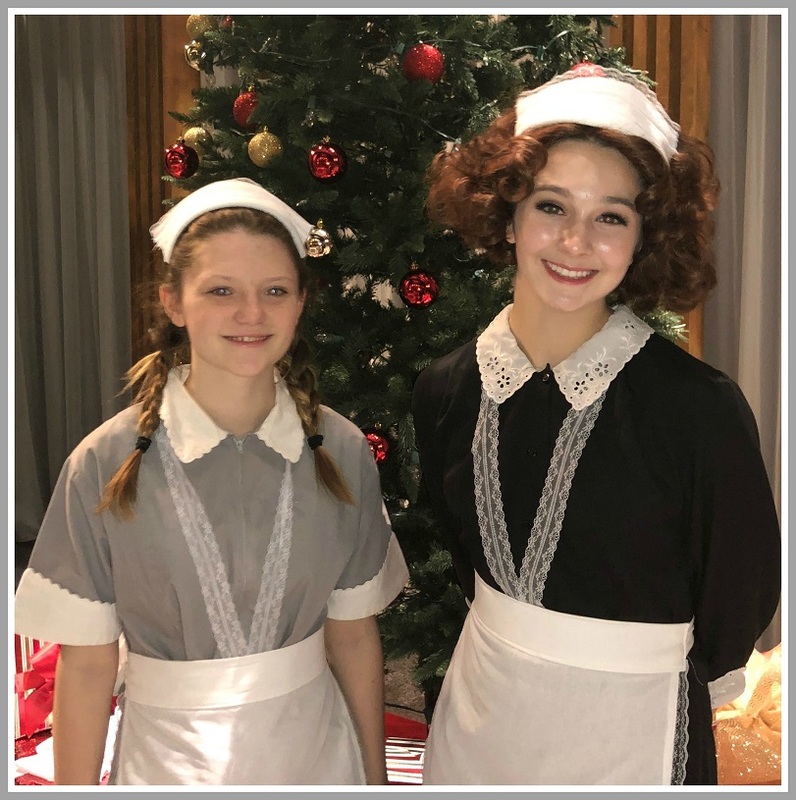 “Annie” is a great opportunity for friends and family members to see them perform. It’s a popular show, in a historic theater. And it’s only an hour from what may be the Broadway Method Academy actors’ ultimate destination: Broadway.